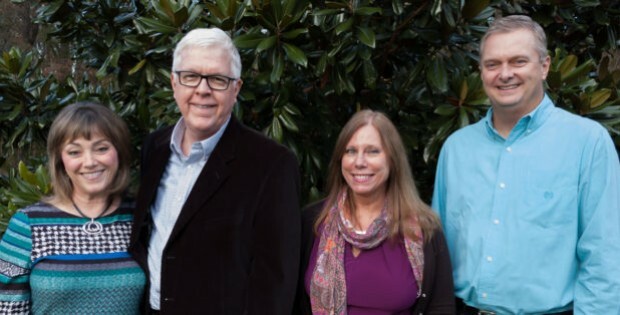 Christian Counseling Associates of Raleigh operates under the direction of Dr. Mike Garrett PhD, LPC and Rhonda Garrett MA, LPCA. We’re based in the Raleigh – Durham, North Carolina area and offer regularly scheduled counseling appointments, couples intensives, and other related marriage-counseling services, all delivered from a Christian point of view. In addition to over 35 years of marriage to each other, Dr. Mike and Rhonda have extensive experience in pastoral and lay counseling. Mike has a lengthy background as therapist, lecturer, author, professor, and pastor. Rhonda is a noted author, lecturer and Licensed Therapist who has been extensively involved in lay counseling ministry for both marriages and individuals. We believe that this combination of counseling experience & training, pastoral leadership and real-life “couples coping experience,” makes Christian Counseling Associates of Raleigh a unique practice in our field and geographic area. Clients are welcome to work specifically with Dr. Mike or Rhonda, or may choose to receive combined counseling from Dr. Mike and Rhonda together. In some circumstances, we might recommend a specific counseling option to best meet the specific needs of the client. Just as our practice benefits from the receipt of numerous referrals from local pastors and professional counseling colleagues, Christian Counseling Associates of Raleigh also collaborates with and refers to other counseling professionals when the need is called for. If a client requires counseling assistance in a field or circumstance where we feel other practices or additional resources may be a better solution, we do not hesitate to reach out to them, and coordinate a plan to best serve our clients’ needs. We invite you to learn more about our credentials, services and counseling philosophy. If we may serve you or someone you care about at any time, we encourage you to contact us by filling out the online form to the right.